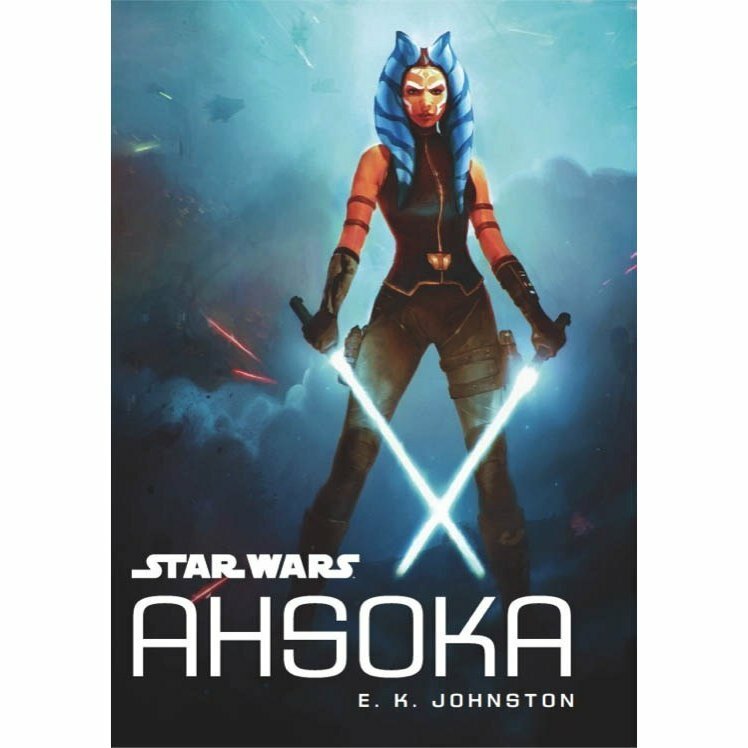 This month's read for my chronological read through of the Star Wars canon was one of the most-anticipated titles of Star Wars literature: Ahsoka by E.K. Johnston. Set in the Dark Times, (between Revenge of the Sith and A New Hope) I read and loved the title when it was first released in 2016, and I loved it again this time around. The novel's detractors were disappointed in an expectations versus reality way. And for a character as beloved as Ahsoka, satisfying all fans would be in impossibility. But, a year after release, what does Ahsoka tell us now? Many fans were eager for information to bridge the gap between when Ahsoka was seen walking away from Anakin and the Jedi Order in The Clone Wars and when we meet her again, as Fulcrum in Star Wars Rebels. And Ahsoka gives us some information. We see Ahsoka reeling from the rise of the Empire and the execution of Order 66. In order to survive, she must shun her past, her Force sensitivity, and all connections with other beings. We find Ahsoka drifting anonymously while she finds her footing in the new landscape of the galaxy. After walking away from her former life, she has now lost everything all over again in the wake of the Empire and its rule. Ahsoka overcoming her fear and subsequent alienation from others was a theme of the book that I found both relatable and inspirational, and it was written in such a way that it was accessible to younger readers as well. Ahsoka is overpowered in every imaginable way against a tyrannical and evil Empire. She has to navigate her past experiences and traumas, evaluate and overcome her fear. Ahsoka then decides the person she wants to be, and how she wants to fight. In a world that seems filled with hate and injustice, one person can be lost as they seek to find a way to make an impact. Ahsoka shows one path. Her actions may seem inconsequential, but they are a road map for us to learn our way to making a difference of our own. Ahsoka gives us some information about what Ahsoka was up to between her renunciation of the Jedi Order in The Clone Wars and when we see her again in Star Wars Rebels. We learn a bit about the Siege of Mandalore, Rex's fate, and how Ahsoka survived Order 66. we also learn about Bail Organa and Baby Leia (!) and the fledgling Rebellion. Ahsoka is rich with light saber lore. We learn a bit about Inquisitors and red sabers, how Ahsoka obtains the white sabers she yields in Star Wars Rebels, and the fate of Ilum (as seen in The Clone Wars). Ahsoka introduces some wonderful characters to the galaxy far, far away. Most noteworthy among these was Kaeden Larte, a character who arguably had the most influence on Ahsoka becoming involved in the Rebellion. Kaeden also brings some much-needed LGBT+ representation to Star Wars something that is still sorely lacking, particularly on screen (and behind the camera). For a more in depth discussion on Kaeden, check out the episode Bigotry Chicken of Sapphic Skywalkers Here. Ahsoka remains close to my heart as one of my favorite entries in the new canon. We have seen Ahsoka mature during The Clone Wars and we have seen her as a wise and capable warrior in Star Wars Rebels. Ahsoka is her first step into that larger world, and I'm grateful for a glimpse of her journey. Have you read Ahsoka? What are your thoughts?